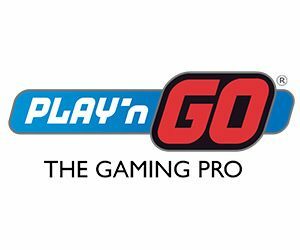 Play’ n GO is delivering a new type of experience to the players with the release of House of Doom Video Slot. Indeed, as you know Play’ n GO is quite famous for offering games with colourful and cute little graphics. But this time around the Swedish provider decided to bring players straight to hell with their new game and below you’ll learn more about it! To sum up, they’re 3 features we’d like to bring to your attention in this slot: The Free Spins, the Stacked Wilds and the Pick n’ Click bonus. So let’s start with the Stacked Wilds since you’ll activate this feature in both the main game and in the bonus. So, in this slot the blue Witch is the Wild symbol, before any spin, the game will select 1 to 5 reels and any witch that lands on the chosen reel will expand. The second feature you can trigger is the 10 Free Spins and to activate this bonus you need a minimum of 3 House of Doom symbols to land in view. Additionally, know that during the bonus you can earn more Free Spins when 3 or more of the same symbol falls in view. What’s more is that if the game’s logo land on a selected reel it will also expand and you’ll automatically get 3 identical symbols and win 3 extra free rounds. Additionally, it’s worth knowing that during this bonus the Scatter also acts as the Wild. Which means you have even more possibilities to make winning combos. The last feature you can trigger is the skull Pick n’ Click bonus. And to activate this feature, you need a minimum of 3 skulls on fire to land on the reels. After landing the required symbols, you’ll be transported on to another game interface where you’ll pick 1 skull. The chosen skull can either give you an instant coin win, a coin win + multiplier or trigger the Free Spins bonus. Without a doubt, this video slot is excellent and will appeal to daredevils because of the theme. But also to Cautious players and Everyday pleasure seekers because the min bet is quite low. What’s more is that when we tested this slot, we particularly appreciated the 2 ways to trigger the Free Spins. Not to mention the 2 Wilds symbols in the bonus, which always makes for excitement. Especially when stacked wilds are in play!